Does Drinking Alcohol Raise Your Risk of Breast Cancer? You may have heard that alcohol can raise the risk of breast cancer, but how much does it raise risk, and is a little bit okay? Looking at over a hundred studies evaluating the influence of alcohol on breast cancer risk, it appears that alcohol use is indeed a risk factor for developing breast cancer. This risk holds true regardless of the type of alcohol you consume, or your race. But how much does alcohol raise risk? Looking at over 58,000 women, it was believed that women who drink more than three drinks per day have one and a half times the risk of breast cancer as those who abstain. The risk of breast cancer increases linearly - in other words, the more alcohol you drink, the greater the risk. Depending upon the study, it seems that for every 10 grams of alcohol per day, the risk of breast cancer goes up somewhere between 7% and 12%. For women, one drink of an alcoholic drink per day raises your risk very slightly. While eliminating alcohol is the safest option, this relative risk in relation to other risks in our lives needs to be considered. For example, for those who find this information frightening, keep in mind that we face some risk every time we set foot in a car or other vehicle. How Does Alcohol Raise Breast Cancer Risk? Increasing estrogen levels: We know that increased estrogen levels can elevate the risk of breast cancer, and the metabolism of alcohol in the body can increase estrogen levels. Oxidative stress: Oxidative stress - or damage to DNA that occurs via reactions involving oxygen may contribute. If this is part of the problem, a diet rich in antioxidant foods which neutralize free radicals could possibly counter some of the risk. Lower folate levels: We have seen that alcohol both lowers folic acid levels in the body, and that folate appears to have a protective function against the development of breast cancer. By producing acetaldehyde which accumulates in breast tissue. Inducing altered DNA methylation in cells. An important point, but one not often mentioned, is that cancer usually develops in response to a combination of risks. Those who have other risk factors for breast cancer - such as a family history or using estrogen replacement therapy - may want to consider the possible role of alcohol as a breast cancer risk factor even more than someone without any risk factors. In addition, there are times, with some cancers, when the combination of risk factors is more than additive in increasing risk. Alcoholic beverages have now been listed as official carcinogens, according to the U.S Department of Health and Human Services. It's thought, however, that alcohol may work more as a catalyst, driving the growth of a cancer that has already "started" rather than as a carcinogen (cancer-causing agent) alone. Alcohol is linked with not only an increased risk of breast cancer, but colon cancer and liver cancer as well. What About Alcohol and Heart Disease Risk? A common argument for having a little red wine is that it may reduce the risk of heart disease, and there are studies to back up that claim. But it turns out the flavonoids and antioxidants in red wine, not the alcohol, protect your heart’s blood vessels. 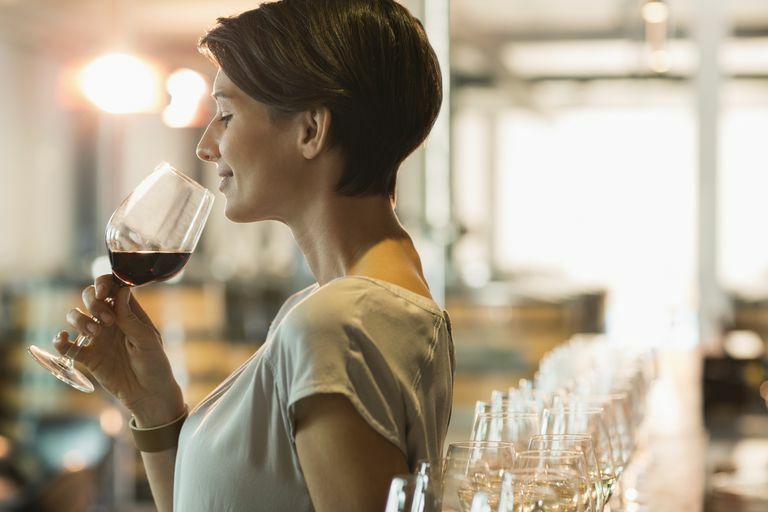 So you could drink alcohol-free red wine - or even red grape juice - to protect your heart, without worrying about raising your risk of breast cancer. Raising the glass, too often and too much, raises your risk of breast cancer. Certainly we face risk factors in many areas of life - for example, every time we step into a car - and living requires us to weigh the risks and benefits of what we do every single day. Celebrating an occasion with a glass of champagne or even enjoying a glass of wine with dinner carries an identifiable risk, but one that is fairly low in comparison to many of the other risk factors for disease we accept for ourselves each and every day. The best bet, though, is to stick with alcohol free products such as red grape juice on a regular basis, and choose the alcohol-containing beverages when they can add joy to meaningful occasions in your life. Better yet, try a glass of green tea. Green tea appears to decrease the risk of breast cancer, not add to it. Bagnardi, V., Rota, M., Botteri, E. et al. Light alcohol drinking and cancer: a meta-analysis. Annals of Oncology. 2013. 24(2):301-8. Castro, G., and J. Castro. Alcohol drinking and mammary cancer: Pathogenesis and potential dietary preventive alternatives. World Journal of Clinical Oncology. 2014. 5(4):713-29. Varela-Rey, M., Woodhoo, A., Martinez-Chantar, M., Mato, J., and S. Lu. Alcohol, DNA methylation, and cancer. Alcohol Research. 2013. 35(1):25-35. Zakhari, S., and J. Hoek. Alcohol and breast cancer: reconciling epidemiological and molecular data. Advances in Experimental and Molecular Biology. 2015. 815:7-39.